Emma Bezaire was born in Windsor, ON, one of 9 children, to Wilfred and Evangeline Bezaire. She attended bilingual schools administered by SNJM. Primary attraction to Congregation was to be of service to God’s people, to teach and to live Gospel values. Church was important to our family. While Emma believed that teaching in schools would be the primary ministry in religious life, the calls to other services resulted in great adventures opening doors and “widening the spaces” to live the charism and mission of the early foundresses. Emma taught in elementary schools in Greater Essex County area. 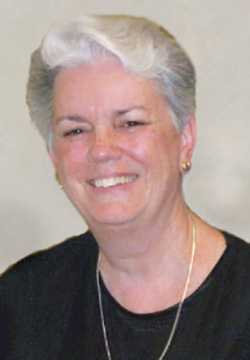 She was called forth to serve on SNJM Leadership Teams based in Windsor, ON, Portland, OR and Longueuil, QC. In 1989, the Adult Spirituality was founded by CSJ of London, CSSR of Toronto and SNJM of ON. While in this ministry, she was a board member of Retreats International. Emma was Vocation Director for her Province as well as networking within Diocese and serving on Congregational Formation Committee. Emma served on various committees on Congregational level as well as Province level. In larger Windsor area, she served two terms on Victoria Order of Nurses Board (VON). Currently, she journeys with adults as Spiritual Guide and is facilitator for several Congregations based in QC, MI and Rome, Italy. She continues to serve on the Province Government Structures Committee and has spent blocks of time assisting at Villa Maria del Mar in Santa Cruz, California. As Emma lives this year, she does so with much gratitude to all those persons who have been and are in her life. I am grateful to God for being called to SNJM Congregation, for the many opportunities to serve in various ministries. I am grateful to my family, SNJM, colleagues and friends. This is a graced time.